Mr Do! 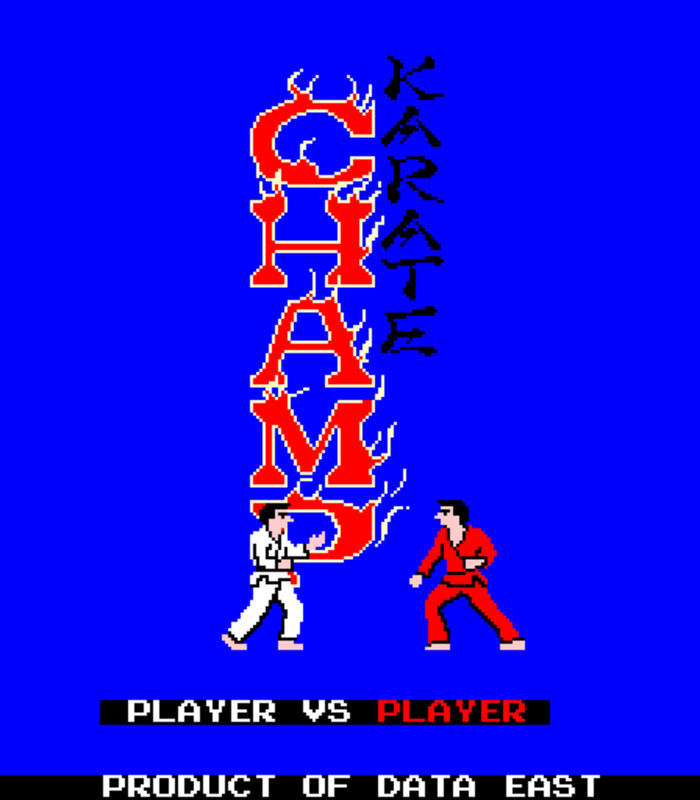 is part of a legacy of Japanese developed arcade games, involving memorable characters with strange names such as PacMan and Donkey Kong, that stood out amongst all of the generic Space Invader clones flooding the market in the early 80's. 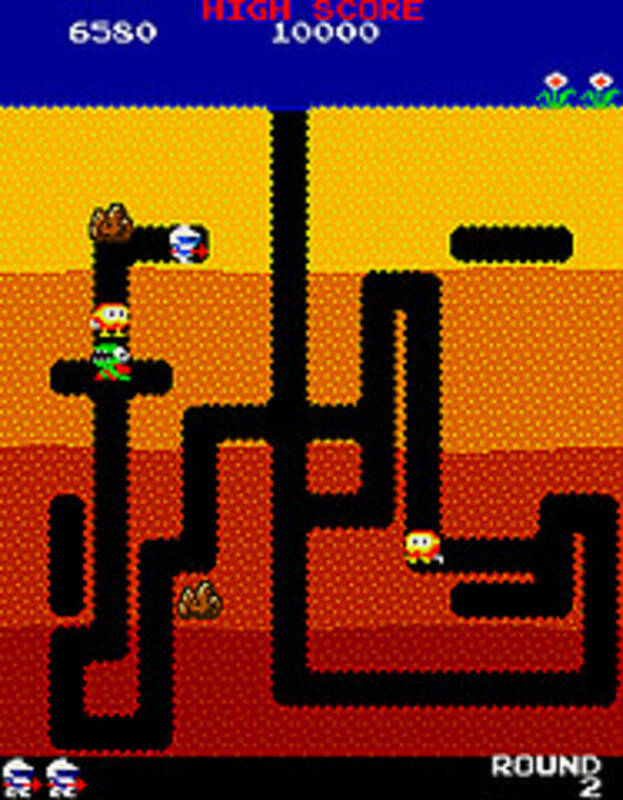 The game was created by Universal and distributed by Taito, and starred a jolly clown, the aforementioned Mr Do!, who must dig tunnels underground to collect cherries without being caught by patrolling monsters. The game developed a huge fanbase following its release in 1983, thanks to its brightly coloured graphics, memorable tunes and frenetic gameplay. 30 years later Mr Do! 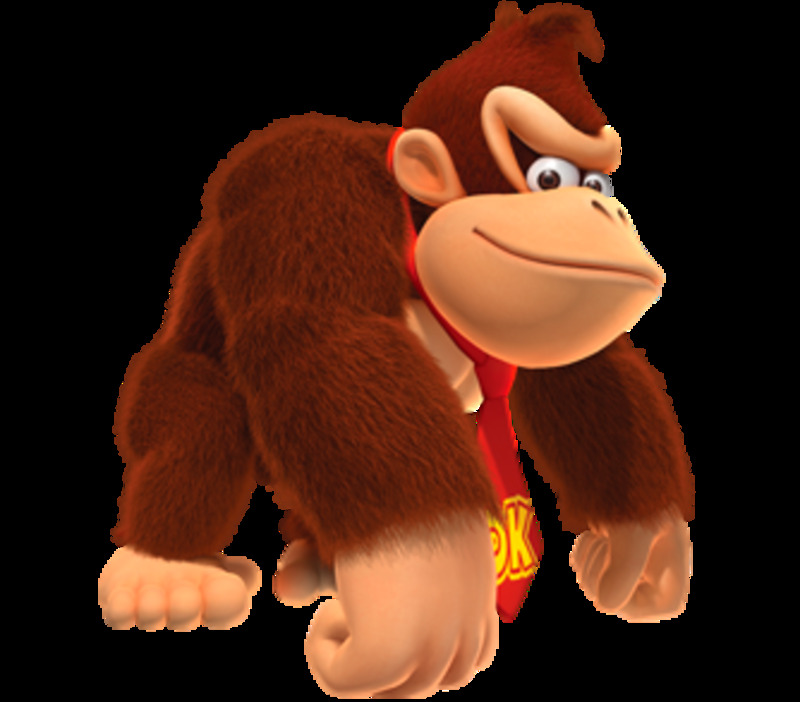 is still fondly remembered by early arcade gamers, even though the character never achieved the iconic status of Donkey Kong. Mr Do! was released during a period of intense activity in the arcades, with new cabinets being released every week to a public hungry for the latest games. Taito looked to capitalise on this demand in a unique way, one that would appeal to arcade owners as well as players. By releasing Mr Do! as a conversion kit rather than a cabinet in its own right, operators could make the most of their existing investment and re-utilse cabinets that were no longer attracting players. The kit included everything from the printed cicuit board to the control panel and artwork, allowing an existing cabinet to be reborn as Mr Do!, and at a much lower cost than an entirely new machine. This was a first for the industry, and would famously be repeated by Nintendo when they initially released the classic Donky Kong as a conversion kit to replace their failing Radarscope game. Taito went on to sell 30,000 of these Mr Do! conversion kits, and the game became a huge hit, and was later released as a compete cabinet bearing the Universal branding. Anyone familiar with the arcade game Dig Dug, released by Namco in 1982, will be able to spot the influence it had on Mr Do! 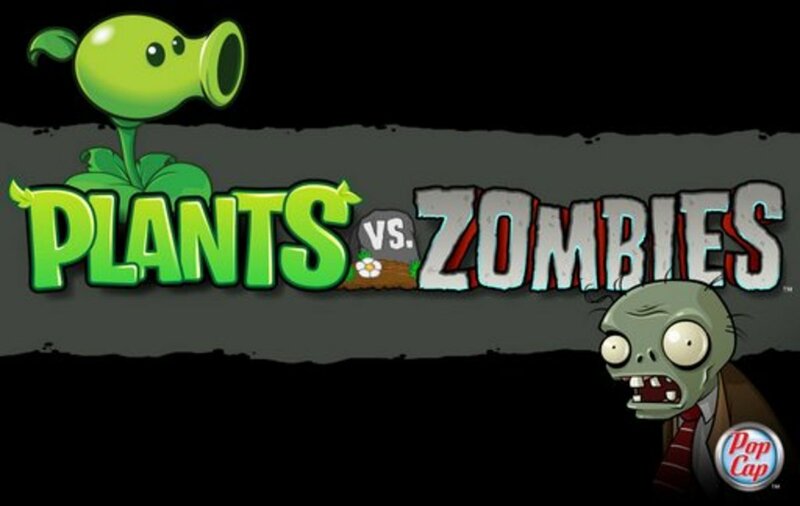 Both games were set in an underground maze, that could only be travelled by tunneling through the earth, as well as enemies that could be destoyed by dropping heavy objects on them. There are also elements of PacMan, such as the collection of fruit (as opposed to pills) in order to complete a level, and the appearance of bonus items in the centre of the screen to generate extra points. In Dig Dug a level is complete when all the monsters are destroyed, whereas in Mr Do! requires you can also collect all of the fruit on the screen to progress, in a style similar to Pac Man. 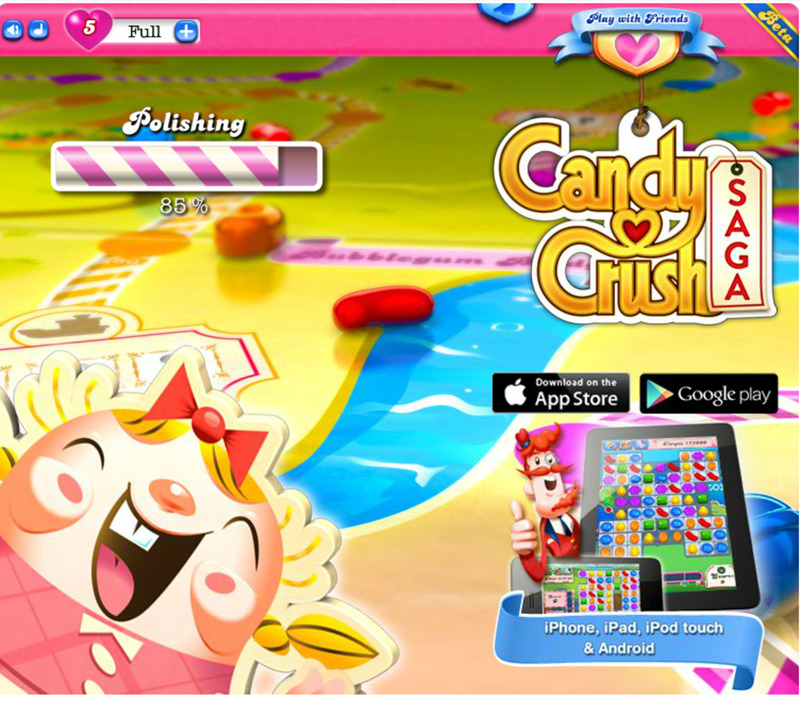 You can also progress when EXTRA is filled, or when a 1UP diamond is obtained. Mr Do! 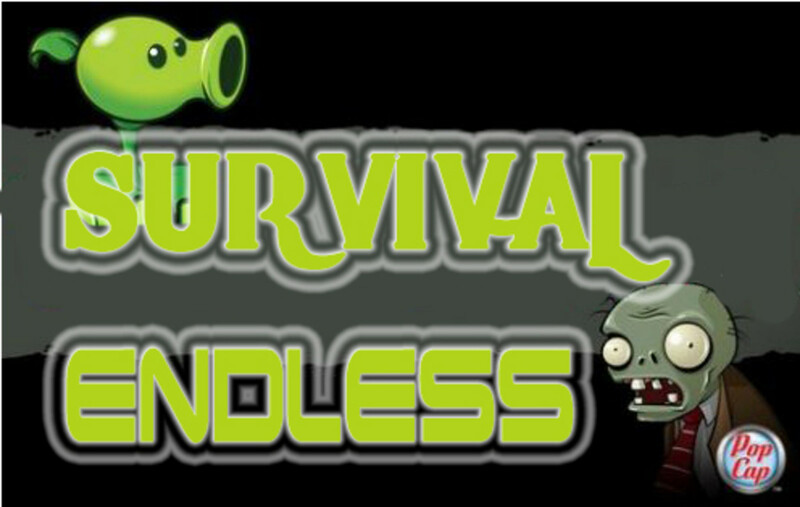 begins each level in partly drilled underground maze, populated by monsters, and filled with various types of fruit. 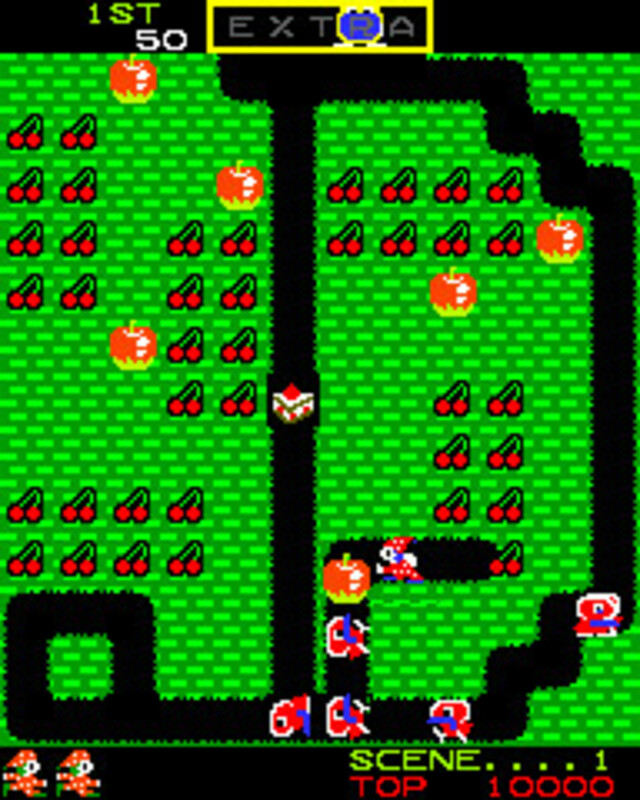 Your clown must wander the maze and create new tunnels in order to collect the cherries, which are grouped in blocks of eight around each level. Also dotted around the level are large apples, which fall when the earth is removed from beneath them, crushing anything unfortunate enough to be in the way. By carefully timing the removal of the apples, the chasing monsters can be crushed without harming Mr Do! As a secondary weapon, Mr Do! carries a ball which can be thrown down a tunnel, bouncing from the walls until it strikes and destroys a monster, or is returned and caught by the clown. Only one ball can be in play at a time, and if it destroys a monster it needs to recharge before being used again. Occasionally, bonus food items would appear in the centre of the screen, which acted like the power pills in PacMan, and released purple monsters which were capable of eating through apples, but helped you rack up extra points. In addition to the purple monsters, a monster would appear in the shape of a letter, one of five spelling out the word "EXTRA". If all the letter monsters are destroyed an additional life is awarded via an animated cut-scene. In order to create a sense of urgency, if you take too long to clear the level, extra monsters appear who can drill through walls to attack Mr Do! Adding to the frenetic game pace is the catchy theme tune, a version of the "Can-Can" which perfectly fits the on screen action. Mr Do! had 11 different levels to complete, each level represented by a tunnel shaped like the level number, except for the first level which was shaped like the a D, and the last shaped like a zero. Due to the success of Mr Do! there were a number of sequels starring the titular clown. Mr Do's Castle was released in 1983, and adopted a platform game format very similar to Space Panic, which required you to smash holes in the platforms for the monsters to fall into. Mr Do's Wild Ride followed in 1984, this time featuring a roller coaster track which Mr Do! uses to collect cherries whilst avoiding the oncoming cars. A final game in the series, Do! Run Run was available as a conversion for Mr Do's Wild Ride, and was a combination of PacMan and Amidar, in which you had to consume the dots, or draw a line around a number of dots to turn them into Fruit. The other series hallmark, the dinosaur-like monsters also made an appearance in Do! Run Run. None of these sequels managed to capture the public's imagination in the same way as the original Mr Do!, mainly due to the slightly derivative nature of the games, which broke no new ground and were just not different enough from the competition. Some memorable home conversions were produced, including an official release on the ColecoVision console and the Atari 2600. Due to the limited graphical capabilities of these early consoles, the spirit of the original was captured, if not a pixel perfect home reproduction. There were also versions released for the Apple 2, MSX and Commodore 64 home computers. Mr Do! would later be converted for more modern hardware that could do justice to the original, through Nintendo's Game boy and Super Nintendo platforms. The SNES version in particular was notable for additional features such as a 2 player battle mode, making the most of the capacity of the later console. A not so official release was created for the BBC Micro, entitled Mr Ee!, and this was probably the most authentic conversion produced, albeit without the approval of the original developer. British gamers were therefore able to play an arcade perfect version at home long before the official SNES release. Have you played Mr Do! ? If so, where did you play it? Please add your own memories in the comments section below, I'd love to hear from anyone who remembers this classic game. As far as I remember it, there was no Playstation release - but you can play on a PC via MAME emulation? You know what? I didn't find it for Playstation, I was thinking of Dig Dug. 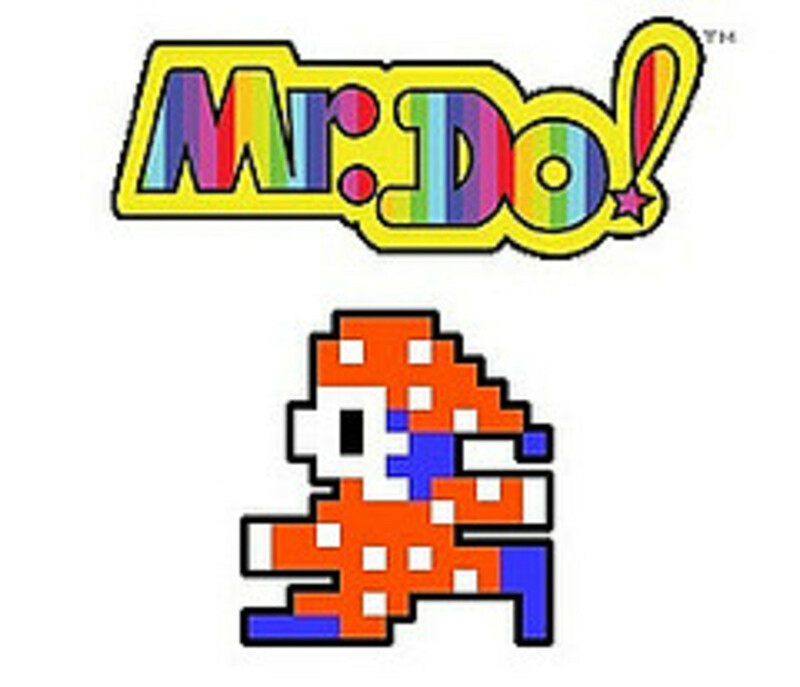 I WISH that I could find Mr Do for Playstation. Didn't know that you could play on Playstation? Must try to find that version! I love Mr. Do. Discovered it on Playstation. Fun stuff. Thanks for the tip, I will update to reflect your more accurate description! Of the games you mentioned, Berzerk is one of my favourites, and will be the subject of a future hub. "Mr Do! requires you to collect all of the fruit on the screen to progress, in a style similar to Pac Man." False. Progress can occur when all monsters are killed that launch from the center of the screen. Progress also occurs when the EXTRA is fulfilled. Lastly progress can occur when the 1UP Diamond is obtained. Other than that, great review. And awesome game. PS I recommend Forget-Me-Not for fans of this game, Pac-Man, Berzerk, & Rogue. Thanks for the comment, I have been looking for the Game boy and Snes versions but they tend to be very expensive, so I mostly play on my MAME cabinet. Mr.Do at the arcade was the best game ever. The worst version I've played was on the C64, it was so slow I got over a million on the first game so never played it again. I currently have all 4 Mr.Do games running on a Nintendo DS Lite. This is a homebrew/mame emulation that a french guy made. So awesome I could cry tears of joy to be playing that again after all these years.